Where to watch NFL football in NYC. Any bar with TVs become a sports bar on Sundays. While most bars will show the home town Giants and Jets, several bars in New York City have aligned themselves with a team from out of town, providing a safe haven for ex-pats from all over the country to root for their team with fellow supporters. 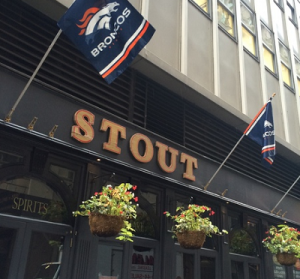 In order to help you find a team bar, we present our list of NFL team bars in NYC. Also, check out our MurphGuide Directory of NYC Sports Bars. 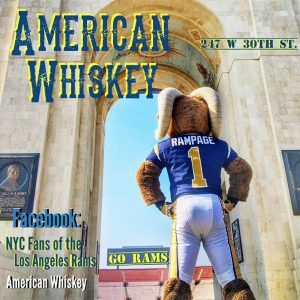 Here is our list of NFL team bars in NYC. Most NYC Sports Bars show the Jets. NFL Sunday ticket showing all football games on a Jumbo Screen and 22 other TV screens. Professor Thom’s: 219 Second Ave. (between 13th & 14th St.) New York, NY (212) 260-9480. Home to all Boston sports. Loft reservations for Patriots games. There is a $200 minimum plus 20% gratuity, per table. Sunday special: $30 unlimited drafts and wings for all games. Irish Exit, Public House, The Ainsworth-East Village, Hibernia, Lansdowne Road, Dylan Muprhy’s, Cody’s, and Mean Fiddler, . 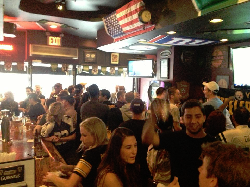 Every Sunday they’ll have specials during Steelers games: $16 pitchers, $22 beer towers, $6 domestic bottled beer including Iron City and Iron City Light Beers. Join their facebook page for up to date news. 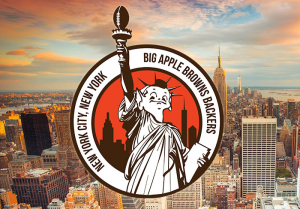 The Big Apple Browns Backers meet at Brother Jimmy’s in Murray Hill. Every game will be shown on in a private room, with Cleveland-only specials. Since the owner is from Baltimore, The Horsebox shows all Ravens games with sound. NFL Sunday Ticket. The Ravens Fans in NYC meetup group meet at Mustang Harry’s. Cincinnati Bengals viewing at Phebe’s. Standings is an official gathering spot for all Bengals football games. John Brown Smokehouse: 10-43 44th Dr.
Peter Dillon’s is the home of Raider Nation in NYC. Texans fans in NYC have a new home at The Mockingbird, the tequila bar at Avenida Tex Mex Cantina. 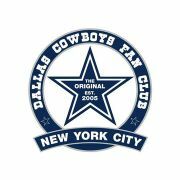 Join the NYC Texans fans meetup group. we are looking for a bar that welcomes Titans fans. Let us know if you hear of any. Live DJ every week playing music during commercials and at halftime. The East End has every sports package & show all the games. Hurley’s Saloon welcomes Dallas Cowboys fans. Washington fans has several bars to call home. Bailey’s Corner supports Michigan football. Therefore, many Michiganders come here to watch Lions, Tigers, Red Wings & Pistons games, since Bailey’s has all the DirecTV packages. Renowned as the premier Packers bar in NYC. As home to the Wisconsin Badgers, they always get a lot of Packers fans. Amity Hall is the home of Big Apple Riot is the NYC chapter of the Roaring Riot, bringing Carolina Panthers fans from across the greater New York City area together to support their team. East End Bar is the home to the New Orleans Saints NYC Fans Meetup Group. Finnerty’s, Tir na Nog Times Square. 49ers fans are welcomed at Tir na nOg in Times Square.